Are you organised or creative, or both? Your desk at work can be seen as a representation of the computer that is sitting on top of it. If the files on the computer are spread all over its hard drive, and icons litter its desktop, chances are the desk that it is perched on will be equally messy. 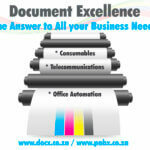 Fortunately for the computer, there are document management systems that can help, such as those offered by DocX. Unfortunately, there is less hope for the desk (unless you’re willing to fly that flamboyant, yet niche, agency over from Los Angeles). 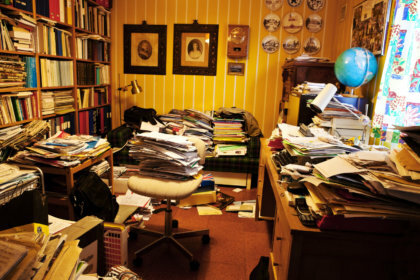 However, a messy desk is not necessarily a bad thing, according to recent studies conducted on the matter. That old office staple, “A cluttered desk is the mark of a busy person,” still rings true, but it rings with the tone of an old rotary phone from 1963. While there is truth in this, progress has given us a little more insight on the topic. The way by which scientists came to their conclusions was through a series of intricate studies involving tidy and messy rooms, an array of smoothies, and a box of table-tennis balls. If you’ve already started envisioning uses for all these items, chances are you’re sitting at a messy desk. The gist was that some people were placed in the tidy room, and some in the messy room, and all were asked to select between common and new-fangled smoothies, and then come up with creative uses for table tennis balls. It turns out that the people in the messy room were more outgoing in their smoothie selection, and more inventive in their uses for the table-tennis balls. Based on this, the conclusion was drawn that creative people prefer clutter. Great! Now we know that. But, how does this transfer into the real world? Tidy Desk: If you have a tidy desk you are organised, punctual, and pretty much rock-solid (and you probably have some excellent document management software on your computer). If you have a messy desk you are considered creative, although some people might see your messy desk as a sign of laziness or disorganisation. Unusual Decorations: These are another sign of creativity, and also show confidence and sincerity. Companies that employ a lot of creative people, like graphic design and ad agencies, usually have desks decked with all sorts of unusual objects. A Friendly Area: This says that you’re a people person. People with sweet jars and photographs on their desks are typically more approachable. So, whether you have a tidy or a messy desk is down to your personality type, and you shouldn’t feel embarrassed either way. And, hey, whether or not you have a decent document management system on your computer is absolutely your little secret!